Your temporomandibular joint (TMJ) is the place where your jaw connects to your skull, just in front of your ear. In up to 25 percent of people, this joint causes pain or other symptoms known as temporomandibular joint disorders (TMDs). A skilled and trained physical therapist can offer you a variety of treatments to treat these symptoms and improve your joint health. A trained dentist can create a mouth guard, a device you put between your teeth at night. This device is created especially for you and can help prevent teeth clenching and hold your mouth in a position that does not stress your jaw. Physical therapists may use different therapies to help relieve your symptoms. Your therapist may teach you stretches and exercises to help relax your jaw. They may also use hot and cold therapy to relieve pain or use ultrasound therapy to release tension. Your physical therapist may also help you strengthen and improve your posture, which can have benefits in relieving TMJ disorders. Stress and bad habits like biting your fingernails may also contribute to TMJ problems. Your therapist will work with you to help stop these habits and find better ways of handling stress. Dry needling uses specialized, sterilized needles to release tight fascial (connective) tissue. 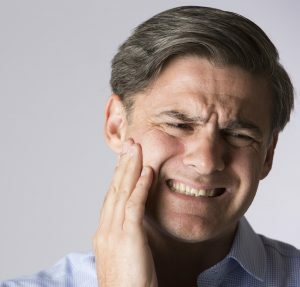 These treatments cause little to no pain and, over time, can help release tight tissues related to TMJ. Dry needling can be especially helpful in relieving pain and treating tension headaches. At Bon Secours In Motion, we offer a variety of treatments for TMJ. Contact us today to find out how we can help you improve TMJ symptoms.